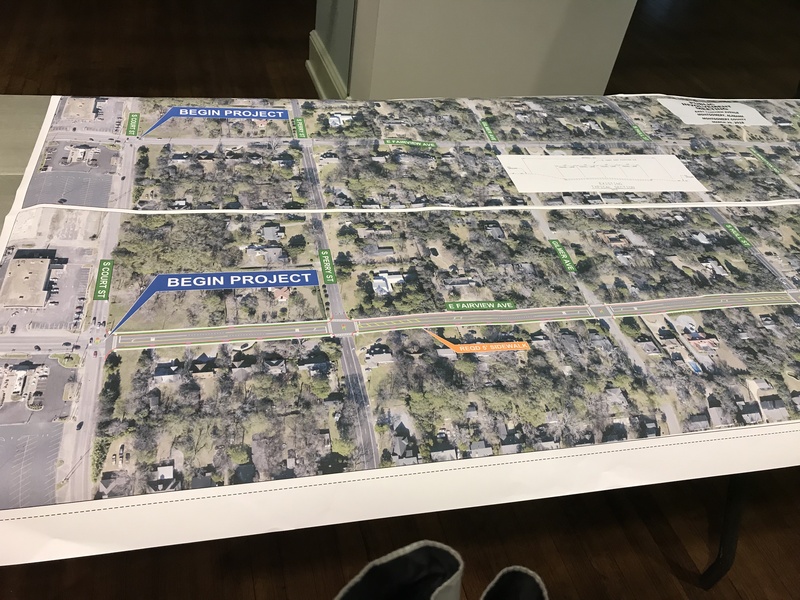 Recently the City of Montgomery and ALDOT hosted a Public Involvement Meeting regarding the planned conversion of East Fairview Avenue from four to three lanes and the addition of sidewalks where there are none from South Court Street all the way to Narrow Lane Road. What on its face appears a simple and straightforward upgrade has generated a fair amount of controversy among my neighborhood, the Garden District, which abuts that street along its southern border. I personally feel the roadway narrowing project will go a long way toward slowing traffic along Fairview, which in that part of town is a residential street. But the third or middle lane, intended as a turning lane, is derided by some as a “suicide” lane. Others decry sidewalks as an invitation for criminals to walk into our neighborhood. All this must have been on my mind early this morning as I read Mary Ann Neeley’s wonderful volume “Old Alabama Town: An Illustrated Guide.” And when I reached the section about the Carriage House, I was magically transported back in time to the early-mid-80’s and the controversy that surrounded the preservation of the Seibels Ball Lanier house at the corner of South Hull and Adams. The Seibels House, as it is identified in the Historic American Buildings Survey at the Library of Congress, had a long and storied existence from its construction in 1850 until its demise in May of 1988. A residence of great significance through the 1950s, the home in recent years had housed the Scottish Rite Temple. A group of avid preservationists met at the property on a lovely day in about 1985. The main house was in awful repair, and the dependencies (outbuildings) were even worse. But we were determined to clean the grounds as our contribution to Landmarks Foundation’s efforts to save this important piece of Montgomery history. Alas, as is often the case, progress overcame preservation. The Southern Poverty Law Center and its founder Morris Dees acquired title to the property and determined that its site must be controlled if the SPLC’s planned new headquarters to the rear of the land at South Hull and Adams was to enjoy safety from the crazies who would go to great lengths to disrupt the Center’s important work. And so in May 1988 the house was razed. Today all that remains is the Carriage House which in 1981, thanks to funding from Montgomery’s Junior League Sustainers, was marked, dismantled and carefully reassembled at Old Alabama Town. There it joined more than 50 historic structures, all formerly in danger of demolition, that have been transported from around Central Alabama and restored on-site. Today Old Alabama Town is considered an important addition to Montgomery’s impressive collection of historic attractions. Ironically, another even more popular site is the Civil Rights Memorial Center, which sits on the Seibels-Ball-Lanier land. Progress? You decide.